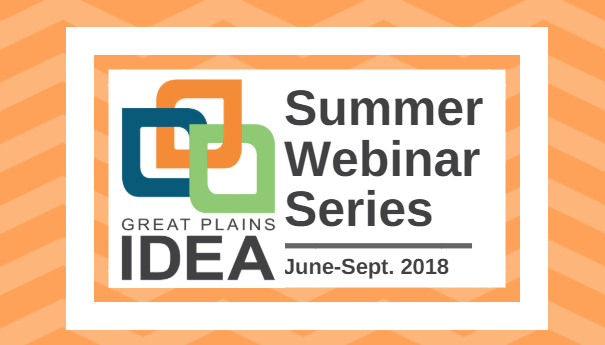 This summer, Great Plains IDEA hosted six webinars to support member institutions by providing tools to assist with recruiting and growing enrollments. We also hosted a webinar focused on student services. 12:30 PM CT View the webinar recording. 1:00 PM CT View the webinar recording. 10:30 AM CT View the webinar recording. Store it. Explore it. Go for it. 2:00 PM CT View the webinar recording. Who benefits from these webinars? Great Plains IDEA faculty, advisors and campus coordinators. Campus colleagues who assist programs with marketing, recruiting and website content. While webinars will be directed toward members of the alliance, much of the information shared will be beneficial to many university professionals.